Hola! 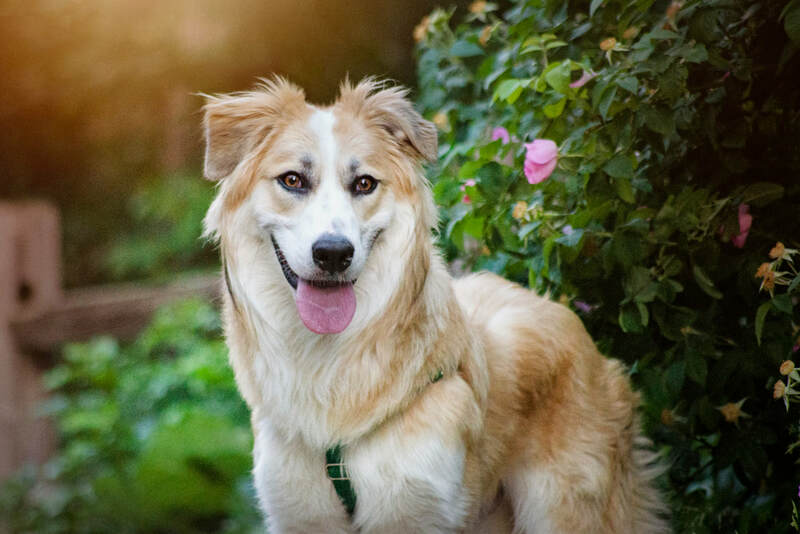 My name is Luka and I’m a Border Collie/Golden Retriever mix. I just celebrated my first birthday in August. I’m a handsome, smart, fun-loving pup who likes to go for car rides, long walks, swimming and jogging. One of my favorite things to do is chase bugs, especially grasshoppers. I aspire to be a master bug catcher! I was born with a cyst on my spine that grew to be quite large, which caused some problems with my gait and balance. The nice people at SDR raised the money for the surgery and the cyst was removed by a neurologist in April. I’ve recovered nicely and have done great with my physical therapy. My gait is still a little wonky, but that doesn’t stop me from doing everything I want to do. I wouldn’t say I’m special needs, but I’m definitely special. My foster mom says I do great with my physical therapy exercises, so it makes it really easy for her. I’ll probably always have to do some type of physical therapy to build and keep up my core strength, but since I like doing my exercises, it’s really no big deal. While I’ll never be able to climb a 14,000 ft. mountain or be a partner for an avid runner, I can still do lots of activities and go on adventures. I have lots of puppy energy and would love to be part of an active family. I get along well with other dogs, but older dogs and little dogs don’t really appreciate my playful, puppy energy. Cats don’t appreciate my playful, puppy energy either, but I’m learning to respect their space, and am easily redirected when I want to play and they don’t. I’m housetrained, I love the car, and I enjoy toys and snuggles. People say I’m a joy to be with and that I’m a total sweetheart. I’m looking for a home with people who are just as loving as I am and who would have fun taking me on adventures (I love water!). Also, I would enjoy having a home with a backyard that I could run and play in. I recently learned how to play fetch and would love to have someone play fetch with me! If you think you might be that special someone for me, please go to the top toolbar, click Adopt, click Dog Application, then fill it out and send it in. A nice volunteer will get back to you as soon as they can. And hey - Check out my awesome new video below made by Summit Dog's amazing professional videographer, Molly Steele of M. Steele Photography! You can see me in action having fun and snuggling on the sofa!